The foreign direct investment (FDI) policy for medical devices and audit firms associated with companies receiving overseas funds were also eased to facilitate capital inflows. In a major move to attract more FDI into the country, the government on Wednesday permitted foreign airlines to invest up to 49 per cent in disinvestment-bound Air India and liberalised rules for foreign investment in single brand retail, construction and power exchanges. The decisions taken by the Union Cabinet come ahead of Prime Minister Narendra Modi's visit to the World Economic Forum (WEF) meeting in Davos where he will hold discussions with CEOs of top multinational companies on the investment opportunities being thrown open in India. US President Donald Trump is among the other world leaders who will be attending the WEF meet. The move to allow foreign investment in Air India comes at a time when the government is working on the modalities for strategic disinvestment of the loss- making Air India and is expected to attract more bidders for the airline. It will now become easier for ventures such as Tata-Singapore Airlines and other domestic carriers to rope in foreign partners to bring in more funds for bidding. While foreign airlines were allowed to invest up to 49 per cent in the paid-up capital of Indian private airlines under the government approval route, this provision was not applicable to Air India. It has now been decided to do away with this restriction and allow foreign airlines to invest up to 49 per cent under the automatic approval route in Air India as well, the government said in a statement. This brings Air India, which previously had to be fully locally owned, in line with the country's other local airlines in which foreign investment is allowed. However, the government has also made it clear that the substantial ownership and effective control of Air India would have to remain with Indian nationals. A group of ministers is in the process of finalising the contours for the proposed strategic stake sale in the national carrier and expression of interest is likely to be invited from bidders soon. The Union Cabinet has given its approval to a number of amendments in the FDI Policy. These are intended to liberalise and simplify the FDI policy so as to provide ease of doing business in the country. In turn, it will lead to larger FDI inflows contributing to growth of investment, income and employment, the government said in a statement. Overseas investment policy has also been liberalised in case of power exchanges. Currently, the policy provides for 49 percent FDI under automatic route in power exchanges. However, foreign investors' purchases were restricted to the secondary market only. It has now been decided to do away with this provision, thereby allowing FIIs/FPIs to invest in power exchanges through primary market as well, the release said. Regarding the liberalisation in the construction development segment, the government has decided to clarify that real estate broking service does not amount to real estate business and is therefore, eligible for 100 per cent FDI under automatic route. In the case of medical devices, the government has permitted a wide range of items that can attract up to 100 per cent FDI via the automatic route. These include any instrument, apparatus, appliance, implant, material or other articles, whether used alone or in combination, plus any software tool, intended by its manufacturer to be used especially for human beings or animals for diagnosis, prevention, monitoring, treatment or alleviation of any disease or disorder. 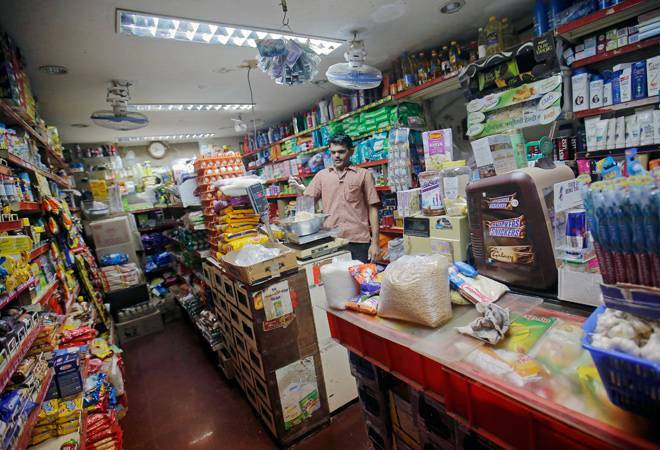 The government on Wednesday allowed 100 per cent foreign direct investment (FDI) in single-brand retail via automatic route and eased a rule on 30 per cent mandatory local sourcing of products for five financial years after opening the first Indian store. The existing policy on Single Brand Retail Trading (SBRT) allows 49 per cent FDI under automatic route, and FDI up to 100 per cent through government approval route. The amendment is likely to benefit companies such as Swedish furniture maker Ikea, which is planning to set up stores across the country. The SBRT entity will be required to meet the 30 per cent sourcing norms directly towards its India operation, on an annual basis, after the five-year period, a government release said. "It is a progressive step towards attracting foreign investment and ease of doing business in India. This should also generate employment and give the Indian consumers access to several international brands," said Pinakiranjan Mishra, partner and national leader, consumer products and retail, EY. However, he said, it was expected that the government's liberalisation of FDI norms for multi-brand retail would enable large international retail chains to invest in the country and bring latest technologies and retail formats into India. "This remains an unfinished agenda." "We believe the decision to allow 100 per cent FDI through automatic route will ease the process for foreign as well domestic brands," Retailers Association said.